I’ve been wearing my authentic self for close to six years now. It feels more comfortable than it did in the beginning of my journey. I won’t lie, there have been times that I questioned the authenticity of the person I was uncovering. Unfortunately, this stems from a past filled with self-abuse that had been ingrained for many years. I know that each step I take is sure and firmly planted. I honor my truth and I recognize the power of that. I am focused on what I want to do, and how I want to do it. Gone are the days I can be talked out of my purpose. Most importantly, gone are the days “I” doubt who I AM. And I like hanging out in The Garden of Blessitude! I am a middle aged woman who taught myself how to love again. I traded illness and depression for authenticity and vibrancy. I learned forgiveness is the key that allows love to blossom and I have never loved myself more than I do in this moment. My opened heart allows unconditional love to flow to every organism on earth; as we are all connected – shall we all be loved. Life was happening to me. I gave away my true authentic self and I believed that I had no control over my circumstances in life. I turned my back on the voice that speaks from the center of my chest and listened to the voice inside my head. One voice is truth, the other is lie. I found myself waging battles externally as well as internally. The fighting exacted a toll on my psyche and my body. I allowed an environment where a life threatening disease was able to take hold of my body and I engaged in the biggest battle of my lifetime. I have walked a thousand miles and I have met incredible people along the way. I have learned that I am responsible for the way my life looks and that I have the power to change what I do not like. I have healed my sick body and my sick life. 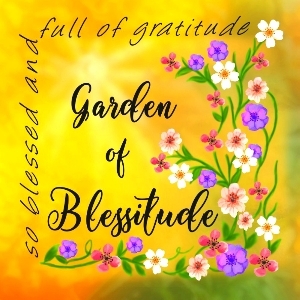 I am so blessed and full of gratitude – BLESSITUDE. Walk with me in truth, and may you find your self through love. What a wonderful story. Blessing to you, Lorrie. Very good! 🙂 Blessitudes be unto you. Thanks for visiting Ross! I am so blessed. ..may you be as well! I’m with you, I feel it and I’m excited to see all the places your story is yet to go. I tend to reread the ABOUT pages as I begin to connect with writers. Glad I did that here! It reminds me why I followed! Thanks for stopping by my blog. What a wonderful blog you have. I will never forget the day that I learned to forgive and since that day I have not been the same. God has blessed my life beyond belief since that day. I just know your blog will be more blessings for me so I will be following you. Hugs and blessings! Lorrie, thank you for stopping by and reading, and for commenting. You have a beautiful face and smile … a true “twinkle”. Bless you and thank goodness you travelled through to the other side rather than stayed put … the world is blessed for your journey and victory! Thank you so for the kind words. I am so happy because I have always KNOWN…from a very young age….and then I traveled away but it never felt authentic. But that is what brought me back here so I am grateful. I look forward to exploring your blog in more depth. Hi. Thanks for visiting my blog. It is wonderful to meet and connect with you- I find we’re all on a special journey! God bless you. Thanks for following my blog, Lorrie; you have created a wonderful blog here, and I shall enjoy reading your posts. Keep up the good walk. Blessitude – what an awesome word/attitude/life philosophy! You are an inspiration sweet soul:) Keep rocking’ it Lorrie!!! Me too 🙂 It is truly an honor to meet you. Thanks Carolyn!! So happy you stopped by. 🙂 Love your energy! “Blessitude” I love that! I thank you so very much finding my mishmash of a blog but I hope you visit often and enjoy. I’m just a plain ol’ Southern girl living and loving life and trying my best to spread kindness. I look forward to more of your journey. 🙂 yes! Have a super Memorial Day Weekend! Wow..love to learn from your words and get inspired by you!! All the best…. What a great attitude Lorrie. How I wish some of my patients could wrap their minds around your statement, “I learned forgiveness is the key that allows love to blossom.” As a nutritional counselor, I’ve found that some hold onto pain because 1. to feel something is better than being forgotten. and 2. for power. They failed to realize that by not forgiving, it is like acid that burns their very soul. I’m looking forward to reading more! Thanks for finding me, blessings,. I’m so happy we now are “connected” – we have so many things in common! Thanks for sharing such a radiant poetry. Love to you! You’re blessed. Take care, Frédéric. Thank you so much for following my blog. Glad to meet you. Your “About” page is inspiring. Looking around your blog now– love your attitude. Thank you, same here and blessitude to you, too! Amazing blog,I really enjoyed your posts.I wish you all the best with happiness and love !!! I know when I’m reading soul-stuff. This is it! Hello Lorrie! I just got back from another round of elder care in Alabama. I’m not sure if I’ll be “up” to doing much more than posting for a bit because I’m not even halfway finished processing all my Scotland pics. Let me see how quickly I can get back up to speed! I’ll be in touch! Hi Debi…hope everything is ok in Alabama! Don’t worry about the blog tour…I’ve got it covered! We can do a sunrise post when you get settled!! 🙂 Happy 4th…Hope Arthur didn’t hurt you! Thank you so much and WELCOME!!!! I look forward to connecting with you…I saw some beautiful heartfelt writings while visiting 🙂 Have a super day!! I’m also so blessed and very grateful and believe we’re all connected. Maybe that’s the reason you visit my blog and gave me the chance to find you…and for that, I’m also blessed and very grateful. Thank you so much for visiting and for the follow! Being here, feeling blessed already. Thanks for the like and follow. Oh Sheetal…Thank you! I’m so happy we connected 🙂 Look forward to seeing more if you!! What a beautiful subject to blog about, “exchanging illness and depression for authenticity and vibrancy.” Your story is very familiar to me as I too had to face a life-threatening illness to wake up. Sometimes we have to sit in the dark to appreciate the light. Your poem is also very beautiful. You’re a gifted writer and I look forward to following your blog. As for my health, I was the victim of a malpractice. Although the writing was on the wall so I don’t know how much of a victim I actually was. I was probably more of a victim of “not trusting myself,” and believing others knew better. I have my health back now; although I have lost my faith, trust and respect for the medical community. It was a hard lesson but a lesson learned. After writing my last comment to you a few minutes ago, I coincidentally came upon an email with the following quote by Richard Rohr that I want to share with you: “And to be fully honest, I think your heart needs to be broken and broken open at least once to have a heart at all or to have a heart for others.” Peace! When blogging becomes more than blogging(!!!) and reveals to us the wonderful mystery of grace–that’s what your response reminded me of today. Peace! Hi Lorrie! It’s good to meet you and your site is beautiful. I love your flower photos. Thank you for your follow and visit to my site. I’m happy to have found you and look forward to reading your encouraging posts! your story really inspires me. That is so sweet of you….I am happy you think my blog is deserving! Thank you! You are so kind to consider me! Thank you! Hi Lorrie, what a wonderful perspective you’ve developed! Love it! I like what you said about being responsible for your life, and how you turned it around by changing your attitude. Your blessitude in turn blesses others! Thank you for sharing your heart and your life with us. You are a beautiful soul! I am so happy that the Universe brought me to you today! Actually, it was because of a reblog on another person’s site. I will read more of you this week! Thank you for your thoughtful words! You are so kind to think of me…I wish I could accept…but I can’t 😦 Hope it doesn’t mess you up…I’ve just got too much going on right now. Hope your world is full of love! Thank you for sharing your walk through your Storm Lorrie and for your encouragement on our Blog and for also joining up with us, it was very appreciate, it is in giving that we receive. I too had to forgive so I could move on in Love, I will leave a link for you, perhaps you will have time to read about one of the Storms I faced in life and how I overcome it. I wish I had hours to devour your words…I took a little walk in your blog…and I just want to say….Peace….Joy….Love!!! I will return soon because your strength gives me strength! Much love! Thank you for visiting my blog and thank you for sharing this story……it hits close to home because I was once at this stage in my life. But where there is a will, there is away. Beautifully written! Oh…Thank you! Thank you so much 🙂 I hope the stage you are in now is full of love, peace, and laughter! Pleasure is mine. I strolled through your blog and I must say, yours is a wonderful blog. There is so much to learn and so much to share…..and so much to cherish. 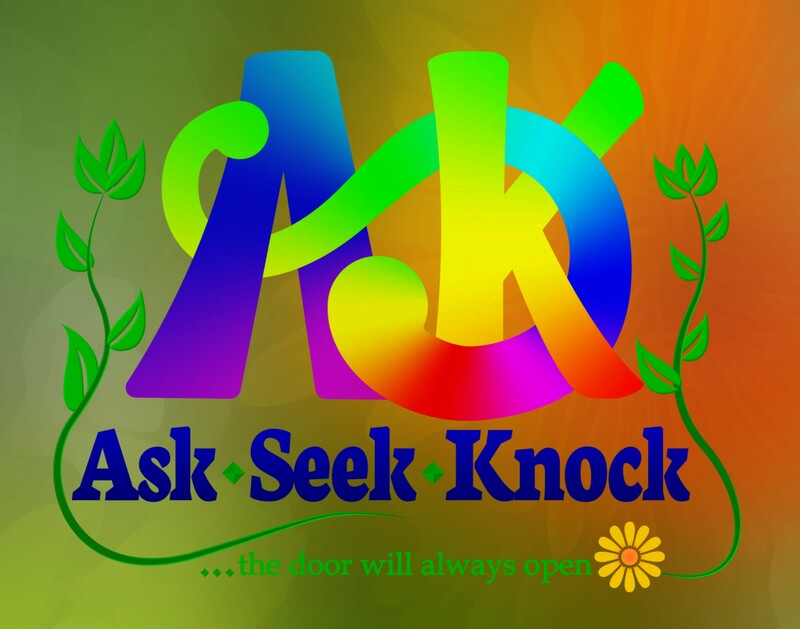 You are always welcome………….the doors of my home would be awaiting you. Stay Blessed! So often our journeys start when we become stuck.. The shadows that pull us down are revealed as we begin to step out into our own light.. And learn once again that we are worthy of love… But most of all we heal from within when we learn to love ourselves.. In 2002 I was diagnosed with Fibromyalgia, at one stage I could hardly walk up my own stairs, and would use a stick if going a distance, as fatigue and pain set in.. I self healed, using Meditation, Qi Gong, and Affirmations… of self worth.. using Louise Hays You Can Heal your Life book.. While I still have a top up of Acupuncture every month.. I changed my life in 2002… changed career paths after 6 mths of sick leave.. Once I had made that move and altered my mind set.. I was set upon the course of my own healing.. The Journey Lorrie is always teaching us along the way… LOVE is the Key to unlocking many a lock we place upon our lives.. Thank you for sharing part of your journey with us.. If you do have the time.. A post I wrote is here..
http://suedreamwalker.wordpress.com/2014/01/23/my-awakening-the-signs/.. Within it is links to parts of my healing journey in more detail.. You too have a good weekend .. Thanks for following nutsrok. I am looking through your wonderful blog right now. Oh! Thank you so much! I appreciate you stopping by and commenting 🙂 Have a super weekend! You too Lorrie… Thank you. Where was your header photo taken? I love it. Thank you so much for checking out my blog and for following, I truly appreciate it! I’m so glad you found my blog. You are a beautiful soul. I look forward to staying connected. Thank you so much Lori!! I look so forward to connecting with you as well 🙂 I have to thank our dear friend in common…Presents of Presence for introducing us. I’m so happy you stopped by. The post she re-blogged was very beautifully written…a wonderful tribute that made me cry!! I am so sorry for your loss. Thank you for your kind words. Tomorrow marks seven years since she died (her accident happened two days after her birthday). Grieving is long, but it does lessen over time. ❤️ blessings to you. Thanks from the Barr Family for following our blog. Nice to meet you and we are loving your wonderful blog here. Thanks Jack & family 🙂 have a super awesome day!! Hi Lorrie, Thank you for liking some of my post and the follow. I am so glad that we finally find each other through our blog. You have awesome blog here and love for being connected. Best wishes. 🙂 I’m so happy, too! Have a great weekend! Same to you Lorrie, Have a great weekend too. Thank you ! Hello Lorrie, it is a pleasure to meet a kindred soul such as yourself. Your “About” page is a lesson to us all regarding love for oneself, and others. Indeed we are connected. Blessings and peace. Hi Ms. Vee! Welcome 🙂 I’m so happy you stopped by and that you are now following my blog. I look forward to connecting more …and I love that you called me a kindred soul!! 🙂 Have a beautiful day! Likewise, Rob! Thanks for stopping by my house…you are very welcome 🙂 Have a super day! 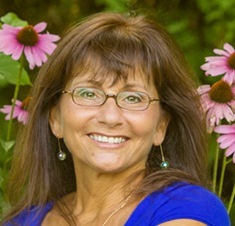 Lorrie, I’m grateful you stopped by my site so that I could find yours! Thank you! Your reflections in “My Journey” are so familiar to me––my journey having many similar characteristics. I’m excited to be connected via WP! Welcome to Life Matters, and I’m happy to join your community as well! Thank you for following my blog. Your story is full of grit and miracles and I look forward to getting to know you. I hope you are well. I’d like to invite you to participate in a 3 day quote challenge. No obligation, at all. I was reading up on some of your recent posts, and wanted to say hi. It’s been a while since we’ve had a chance to touch base. You’ve written some great poetry. I’ve really enjoyed them. Wendy, thanks for thinking of me. I would like to say yes to the challenge…it just might not be the best time for me right now. Let me see what it involves and I will let you know…maybe I could do it a little later. I’m so happy you have stopped by and found some things you can enjoy!! Hope all is well with you! I hope you find honor in being invited. There is absolutely no obligation at all. Just thinking of you. Hi 🙂 Thank you for the Follow! I’ll enjoy exploring your blog. The pleasure was mine! Welcome 🙂 I hope you feel at home. Nice to meet you Lorrie! Thank you so much for following our blog. I hope you enjoy the stories of our journey. So nice to meet you! I could relate to many things! I loved your intro. If you read about my life in saudi you will see why I loved it!! It made me think and I could totally relate! What an inspiring jiurney you’ve had! Isn’t it incredible once you realize that you can truly make a lasting impression in your own happiness? Glad to meet you! I’d also like to invite you to my ‘connect with me’ series on Sunday’s. I would be happy to have you check it out whenever you have the chance to do so. Thank you! So far, so good!! A powerful journey you’ve been on, Lorrie. Happy Birthday to your new Self and existence. Ah! Thank you so much 🙂 So happy to have you here! No worries, my friend! I have been absent for quite some time…it is nice to walk back in and find kind hearts! ❤ Blessings! This was just the encouragement God knew I needed today–thank you so much, God bless! I am so happy that this is true…and even happier that you shared it with me!! 🙂 Welcome! I think it’s important to share, when this happens. I tell people that Faith is not a magic wand–even devout, long-time Christians have struggles and desperately need encouragement. It’s a blessing to meet “sisters” (and brothers) who don’t hide the difficult times–who choose to be genuine and authentic, as it really helps/blesses others. And I forgot to mention how much I love your “Blessitudes”–that is really great!! Ohhh, you have blessed me so much already. I know what you mean about holding your breath as you press Publish–I’ve had many blogs, some identified as “Christian” which can set one up for all manner of trials 🙂 Christians can be a harder “audience” sometimes–so now I post “whatever”, a mix of secular and faith-based work. It’s not that I’m ashamed of my Faith at all–but God has reminded me that we must “guard our hearts”. See you soon–God bless you lots! ♡ Thank you…and I understand what you said here. I post whatever comes to my heart and figure I can’t go wrong with that. Blessitude! Welcome! Happy you stopped by…and I agree…don’t see our name too often! I’m so happy we connected 😉 Wishing you a weekend filled with light and love! Just saw your like right after I sent the above comment. Timing is everything, Dennis!!! She is beautiful!! And I’m sorry for what you and your wife are experiencing! I did not think I would be a basket case when my son left for college…and it came on me with such force…I can remember it like it was yesterday…and ND it was 17 years ago!!! I send you both lots of empathy…you will make it through because you have to…but it looks like a shining light will be missed! Much love to you all!! Thank you. Our greatest consolation comes from knowing she is incredibly ready and will be a gift to anyone she be associated with in the future. Peace! Hello, Lorrie. You recently contributed a poem to the #PoetsforPeace collaboration. An online magazine liked the spirit of the collaboration, and asked to publish it. We need your permission to include your poem. Great “About” page. You have an incredible spirit to keep growing and are an inspiration. Looking forward to following you and growing and learning from your words and pictures. Yes, together we learn grow and encourage. Thank you. Hope you can always find something that speaks to your heart. I love both of these abouts/photos. Hello dearest Lorrie. My deepest apologies for not responding and leaving you hanging on the edge since June. For reasons not yet understood, I have a great deal of difficulty concentrating, words on a page or thinking and putting things together simultaneously scramble me a bit. It’s been a looooooong journey. With the help of a very caring friend, I was able to post a new post last night/ this morning, that while isn’t a detailed story, does give a good idea of where I went and what had/has happened. I hope you’re well, I’ve never forgotten you. Like a handful of others, in your own individual ways, our connection touched my heart, and your corner of has remained sacred and held onto greatly. I likely won’t be on WP again for some time yet, my post will explain, but I will be again, and that’s not something anyone has guaranteed me, it’s just my tenacity, which along with my faith, hope and laughter, has gotten me to this point, so I KNOW I will. I so genuinely hope you are well (I’m not quite up to being able to read or catch up on posts from anyone yet, it really does scramble me) and that 2018 will be filled with happiness, health, joy and wonderment for you. Love & Light My Blesstitude Friend. Sending beautiful healing thoughts!! 💜 Hope to seen you soon!! 😁 Yes! Time is an amazing thing. I couldn’t believe I had my four year blogging anniversary!! I’m lucky…still have that beautiful beach and friend and now that you.mention it…I need to make time today to get up there! The photo of me doing “tree” yoga pose was taken last week…the morning…and sunrise that day was spectacular…so much incredible energy! Thanks Lorrie, for the follow of my blog. Sorry it’s taken me a while to get back to you. Life has been – well, busy, and complicated. As it sometimes is. I…completely understand!! Sweet blessings to you and a wonderful Christmas season!